Lucy loses Mr. Mooney's beloved sheepdog Nelson, but thankfully an honest farm boy, Wayne, finds him and phones Lucy. When she comes to retrieve the dog, she discovers that Wayne is a talented singer and musician. Lucy's impressed by his voice and hooks him up with the head of a record company, Mr. Morton, to get the boy a recording contract. Even Mr. Mooney is impressed and invests $10,000 of his own money in Wayne's recording session. The problem arises in the recording studio; Wayne can't sing unless he's surrounded by his cows and other assorted livestock. Special Notes: Young Wayne Newton, although already a known entity as a fast rising singer of pop songs, is literally catapulted into stardom by this appearance. Wayne performs "Side By Side", "You're Nobody 'Til Somebody Loves You", and an ode to his cow, "Bessie the Heifer". 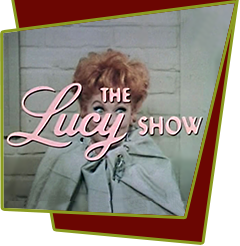 Lucille Ball's real-life husband, Gary Morton appears in this episode as the head of the recording company, Mr. Morton.